If someone tells you that they have a tidy email inbox, only believe them for a short amount of time. Within a day, it could be back up to double … even triple digits worth of messages. Even the smartest communicators face an onslaught of email messages which can take up more time than one would like. 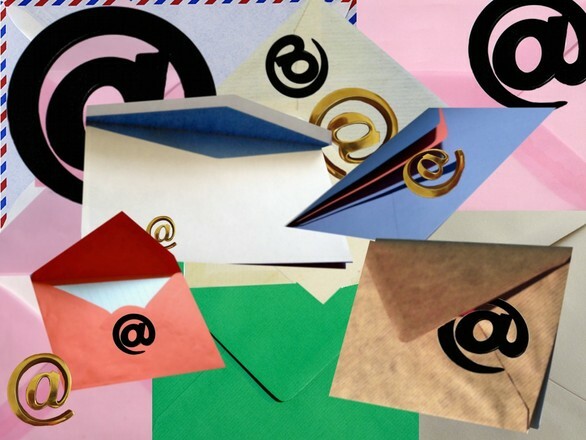 Here are a couple of tips on how I distress the tsunami of emails, both wanted and unwanted. 1. Registrations/Memberships and Coupons – When the loyalty program, warranty card, restaurant coupons or sign up to win a free whatever wants my email address, this is the one I use. You can also use it to register for social media accounts and online products. I made this one an unobvious name that doesn’t show it specifically it belongs to me: myhouse248@domain.com – I check this one once every 24 to 36 hours. 2. Personal – This is the one where I get your direct and personally important stuff. Don’t ever use this one for anything or anyone less than the important stuff. I may check this three to five times every 24 hours. If you have it, great, but I will not be posting it here. 3. Job hunting – When I was looking for a job, I created one having a separate account of first initial, last name, and a two to three digit number. It will slow down any reverse social media hunting by a prospective employer. It will also serve to remind me that this is a serious account, which I only want to use for serious business. I check this one once to twice every 24 to 36 hours. I use wdeanlad61@domain.com for this one. 4. Business – If your business uses a redirect strategy, instead of assigning you a specific account. Create a similar sounding email account and direct all your workflow to it. It is a poor practice to co-mingle all the aspects of your lives. Again, I use one like deanlad307@domain.com for this one. 5. Activities – You may want to consider one for a specific hobby, activity or area of interest if you anticipate receiving a volume of mail only related to that task: yourgroupleader@domain.com keeps them out of your personal business and puts a firewall between you and those who interact with you. When you retire the responsibility, then either close the account or give it to the next person doing that task. Others I know having your own domain. If you have a unique name, getting this as a URL should be $12 or less for a year at most online registration points. If there are numerous people that you share the same name with, find a way to make yours truly unique. Use a quality mail hosting product and you can then sort and manage each account, even though they may come to the same In Box. USE FILTERS AND FOLDERS: Receive an update every day from your bank, favorite business coach, favorite restaurant or such? Group them together using folders and filters for when you’re about to go eat out, you can quickly find the offers for the Mexican restaurant or tire store down the road. MAKE E-TIME EACH DAY: Schedule two or three times in your day when you will read and respond to emails. Even though I will check them more frequently than that, this gives you a chance to think about them fully and then come up with thoughtful responses. SILENCE YOU DEVICE: The constant barrage of emails can make for an annoyance when you hear a chime on your smartphone at a point when you really should have it turned off. Show the same respect you want from others. Check yourself when entering a public place and either turn the sound down or shut the device off altogether. ← Which ten movies have sold the most tickets all time?